LUMC collaborates with all other University Medical Centers but also other scientific institutes and companies resulting in for both the Netherlands and Europe unique infrastructures and initiatives which are depicted below. The Netherlands Federation of University Medical Centres (Nederlandse Federatie van Universitair Medische Centra) represents the eight cooperating UMCs in the Netherlands, as an advocate for and employer of 65,000 people. The NFU was founded in 2004 as a spin-off from the University Hospitals Association, which was established in 1989. The objective has remained the same: to ensure that agencies that decide healthcare issues in the Netherlands take into account the special role of the academic hospitals (in the past) and the UMCs (presently). The VSNU – Association of universities in the Netherlands – is formed by the fourteen Dutch research universities. VSNU represents the universities to the government, parliament, and governmental and civic organisations. It does so by facilitating debate, developing and disseminating common positions, contributing towards improving the reputation of the university sector and by making strategic choices to strengthen scientific education and research in the Netherlands. 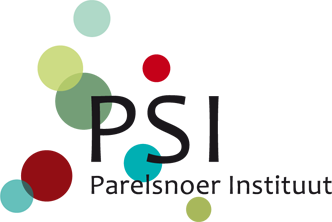 LUMC is a partner in the Regenerative medicine crossing borders programme. Regenerative medicine aims to restore degenerated, diseased or damaged tissues and organs, thereby increasing vital functioning and reducing the cost of healthcare. RegMed XB brings together multiple health foundations, top scientists, entrepreneurs and governments to cooperatively tackle ambitious challenges in regenerative medicine. In RegMed XB, research and clinical translation are integrated to quickly and optimally bring research results into patient solutions and new businesses. The Dutch Life Sciences & Health (LSH) sector is one of nine “top sectors” in the Netherlands. The top sectors are designated by the Dutch Ministry of Economic Affairs and are selected on their ability to contribute substantially to global societal challenges. Health~ Holland is the top sector's communication channel. The top sector LSH entails a broad scope of disciplines, from pharmaceuticals to medtech and from healthcare infrastructure to vaccination. In order to realise its mission – vital citizens in a healthy economy - the top sector builds on the strengths of the Dutch Life Sciences & Health sector to address the biggest societal challenges in prevention, cure and care: improving the quality of life (vitality) while restraining the costs of healthcare. The top sector LSH initiates and stimulates multidisciplinary public private partnership (PPP) to valorise innovation. By attracting financial means, sharing best practices and the univocal Health~Holland sector communication, the top sector boosts a productive infrastructure. The hDMT institute is a precompetitive non-profit technological R&D institute, initiated in the Netherlands by various research institutes, among which LUMC. Other members are Erasmus MC, Galapagos, Genmab, Hubrecht institute, Universiteit Leiden, Maastricht UMC+, TNO, TUDelft, TU/e, University of Twente and Wageningen University. This institute integrates state-of-the-art human stem cell technologies with top level engineering, physics, chemistry, biology, clinical and pharmaceutical expertise from academia and industry to develop and valorize human organ and disease models-on-a-chip. LUMC participates in both BBMRI and BBMRI-NL. 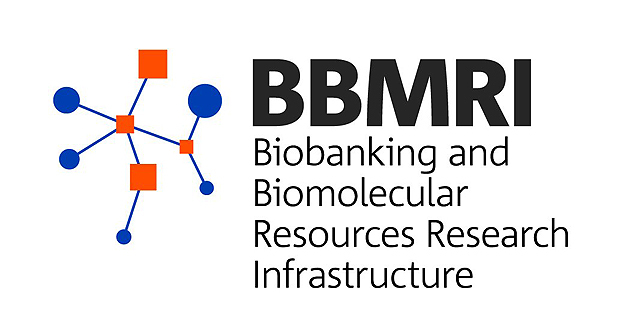 BBMRI-NL’s mission is to build the infrastructure that is necessary for a national biobanking research facility to enhance translational research: the NL Biobank Facility. This means: linking more types of research materials, such as imaging and metabolomics; a more direct link to societal stakeholders, like patient representatives; and building the IT infrastructure that makes all existing bioresources available and accessible to all stakeholders. The Parelsnoer Institute, an initiative of the NFU (all eight Dutch University Medical Centers), gathers clinical data and biomaterials from all the participating institutions. Together they can promote the advance of science, improve patient treatment and encourage the development of new products. Which in turn strengthens the economic position of the pharmaceutical and biotechnology industries in the Netherlands. Initially, the project is focusing upon nine groups of medical conditions, its so-called “pearls”. They are cerebrovascular accident (strokes), diabetes mellitus, hereditary colorectal cancer, inflammatory bowel diseases (Crohn's disease and ulcerative colitis), leukaemia, neurodegenerative diseases such as Alzheimer’s, renal failure, rheumatoid arthritis and arthrosis and congenital heart diseases. In the future activities will be expanded to include other conditions. LUMC has various case managers for pearls on e.g. Diabetes, Inflammatory intestinal disease. The Netherlands Centre for One Health (NCOH) aims for an integrated One Health approach to tackle the global risk of infectious diseases. NCOH commits to create durable solutions for this major challenge by bundling world-leading academic top research in the Netherlands in the area of One Health. This virtual science-driven institution focuses its efforts on four complimentary strategic research themes: ‘Smart and healthy farming’, ‘Emerging Infectious diseases preparedness’, Tackling Antimicrobal Resistance’ and ‘Healthy wildlife and Ecosystems’. LUMC is one of the founding parters of NCOH. The Netherlands Centre for Electron Nanoscopy (NeCEN) is the open access research facility for cryo electron microscopy in The Netherlands. It offers research institutes and companies, both Dutch and international, access to advanced cryo electron microscopy and expertise. The cryo electron microscopes at NeCEN are specifically designed to explore complex biological structures. LUMC is one of the eighteen partners that founded this centre. Oncode is an independent institute dedicated to understanding cancer and translating research into practice. The best fundamental cancer researchers in the Netherlands come together in Oncode to bring their research discoveries into the clinic faster. Along with performing vital basic research, Oncode will specialize in cooperating with third parties to guide its scientists’ discoveries towards translational and clinical research and novel diagnostics, drugs and treatments. Our aims are to help more patients survive, to improve quality of life for those afflicted, and ultimately to cure cancer. NeLL is thé open, independent eHealth knowledge platform in the Netherlands. NeLL functions as a platform where health applications are tested, scientific research is carried out, including safety, reliability and effectiveness of eHealth applications. Furthermore, organizations and institutions are advised in the field of product development and implementation.